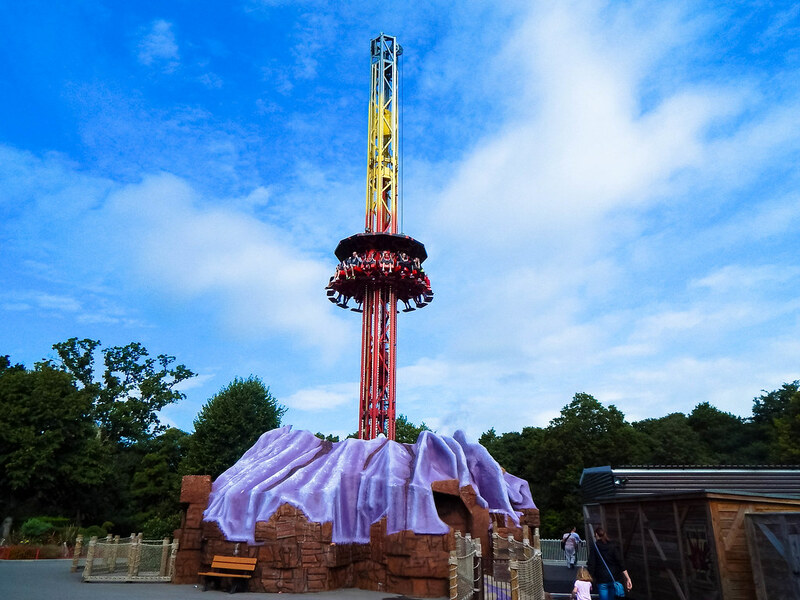 The parks staple attractions consist of the Cobra and Edge roller coasters as well as the thrill ride Magma, a family friendly drop tower. 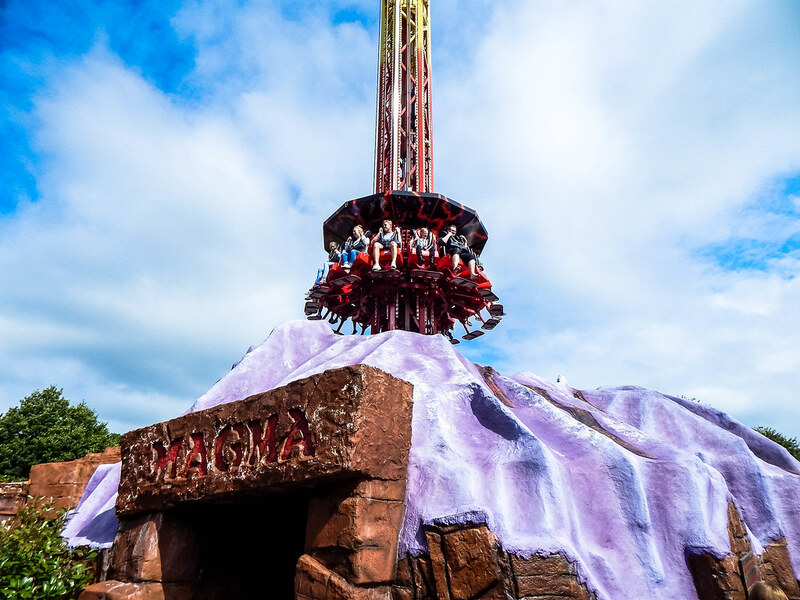 Magma, which was a very well themed drop tower really packs a punch and is great fun. 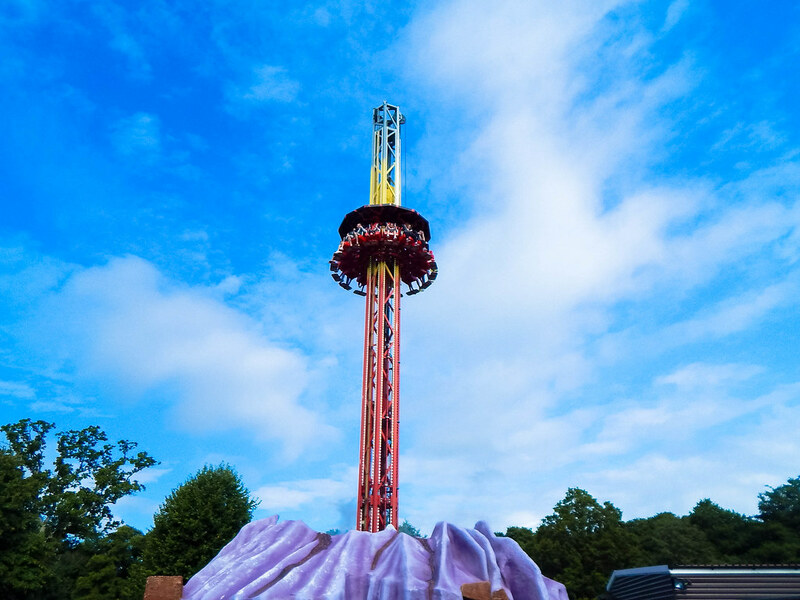 As you rise out of the Volcano with mist swirling around you, there is a small chance to observe great views of the park before rising and falling back to earth! 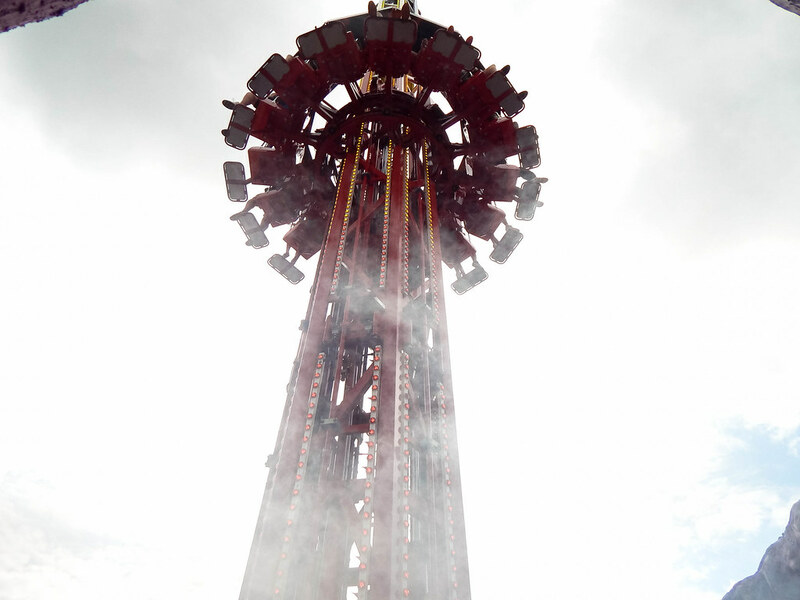 The Edge was next and was a great family thrill ride that left all riding with a smile on their face. 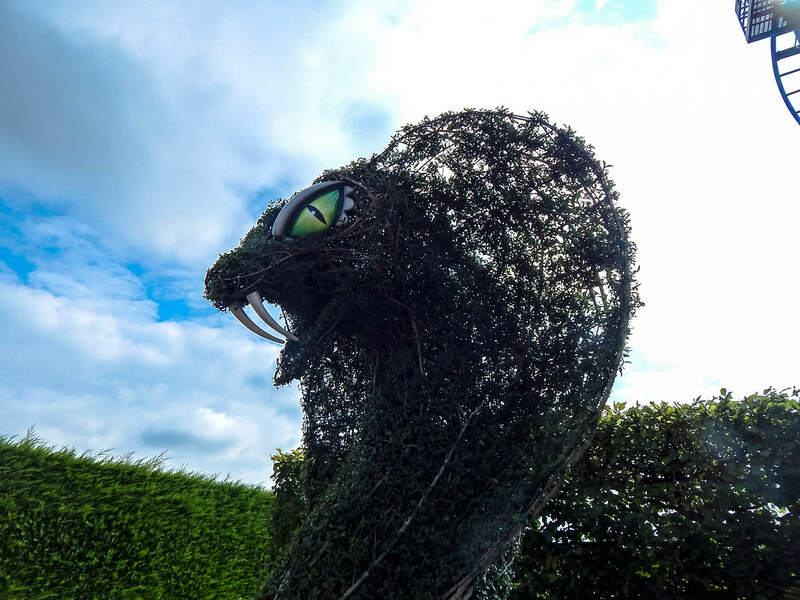 Next it was time for the headline attraction, The Cobra. 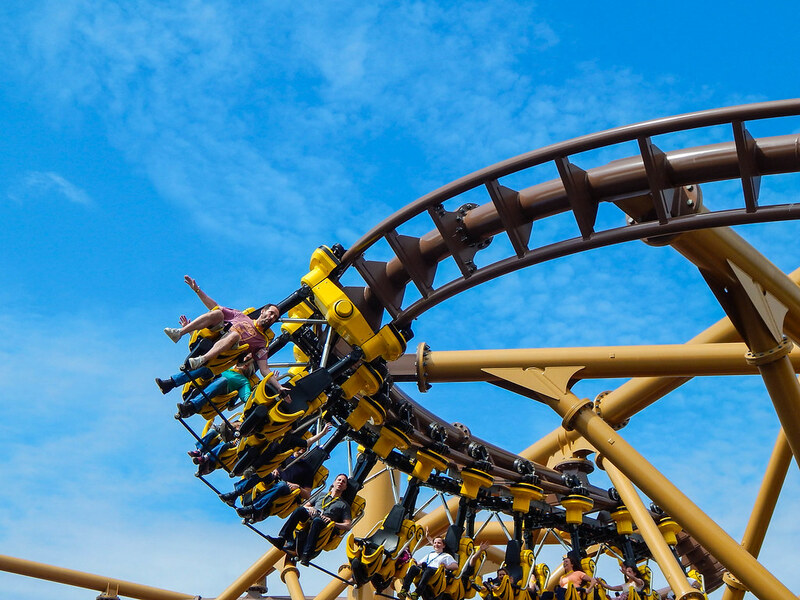 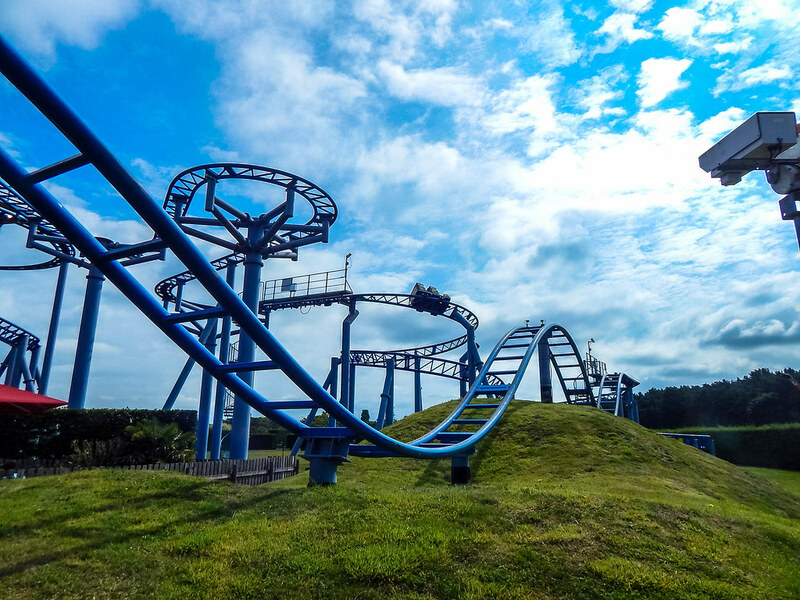 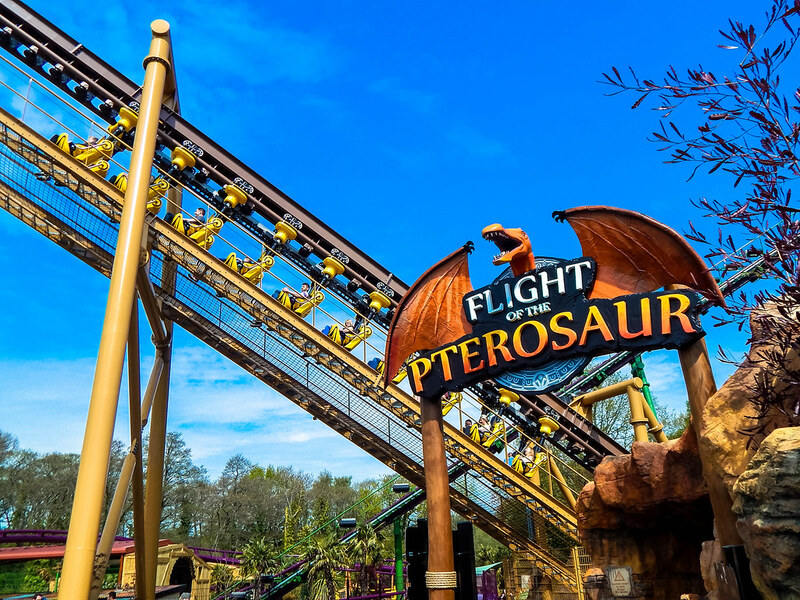 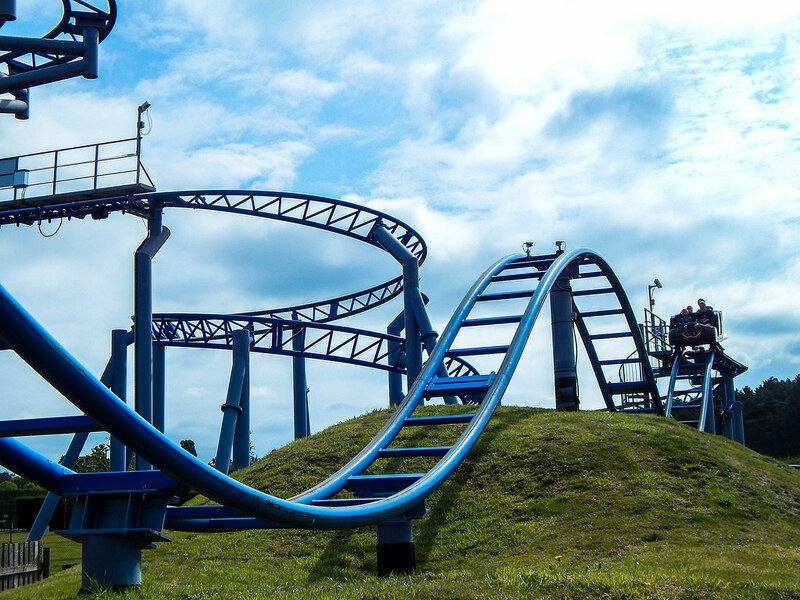 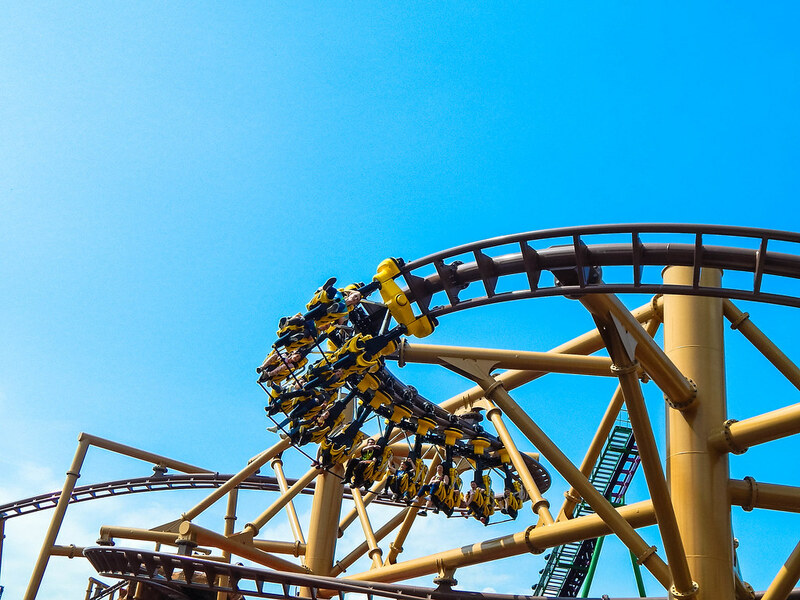 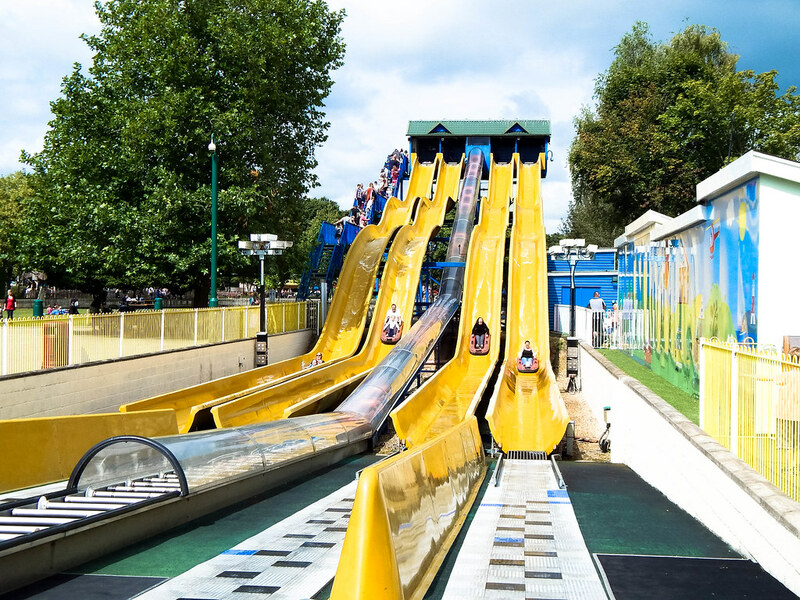 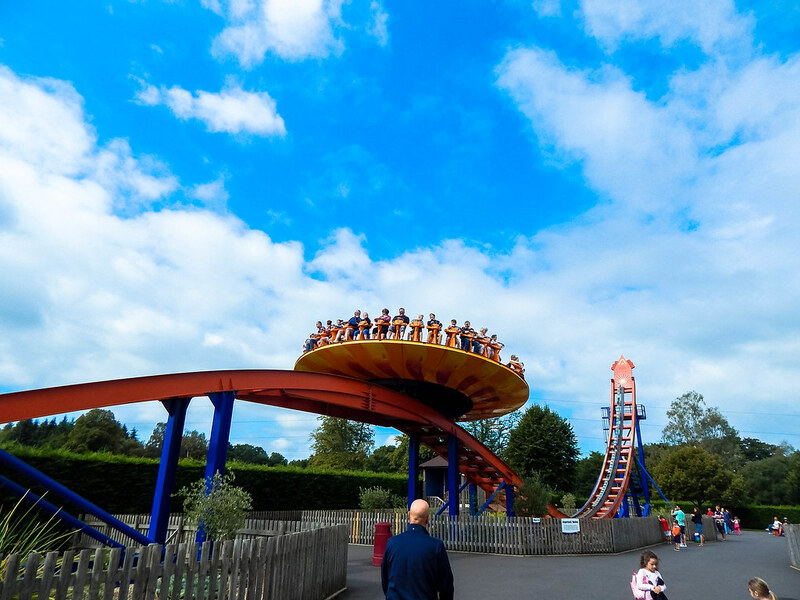 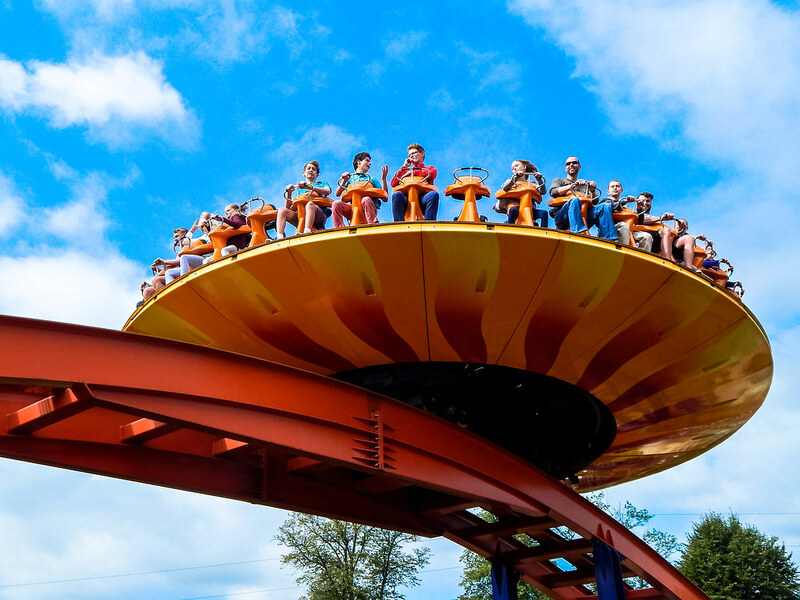 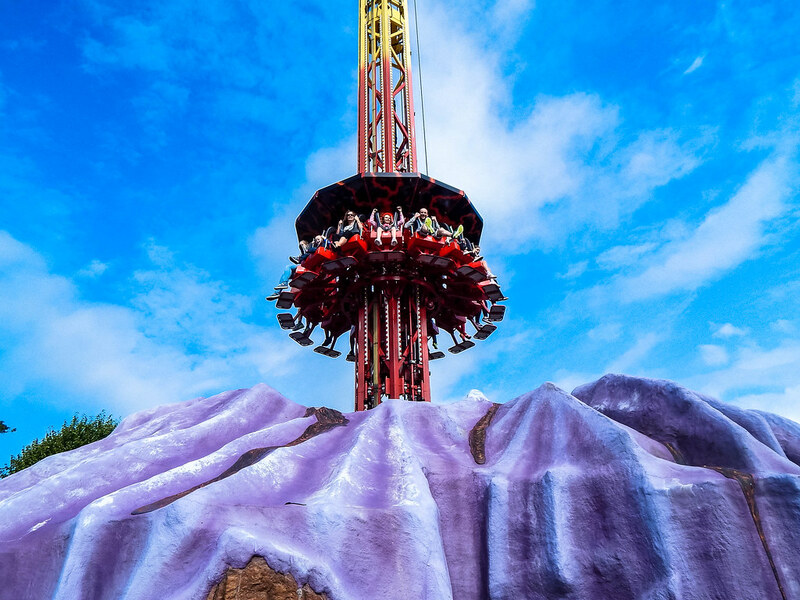 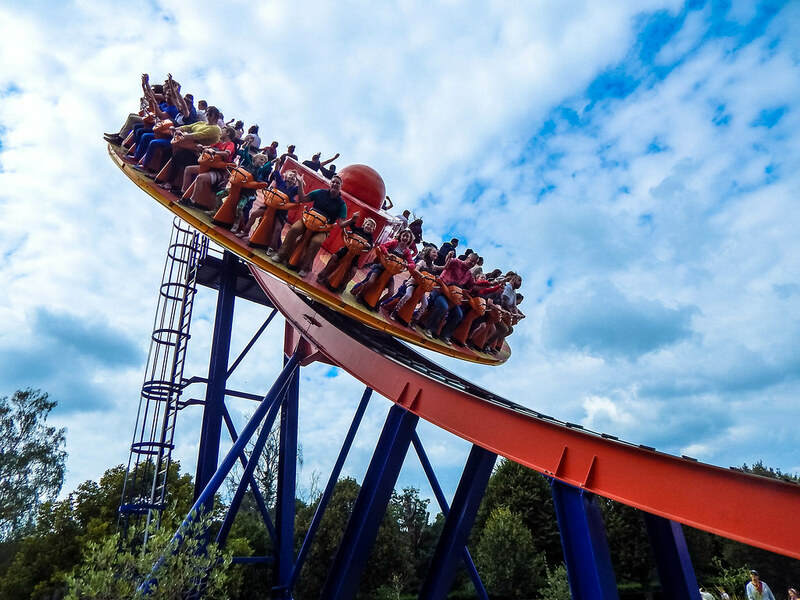 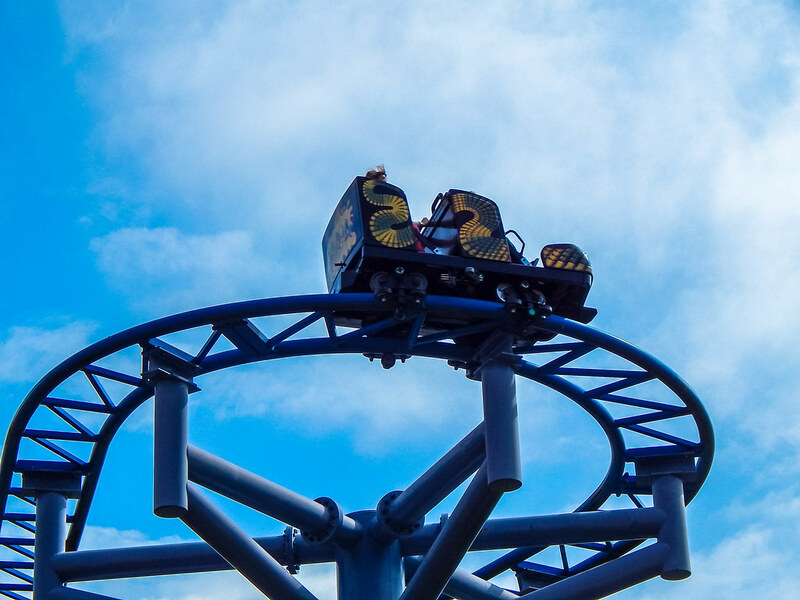 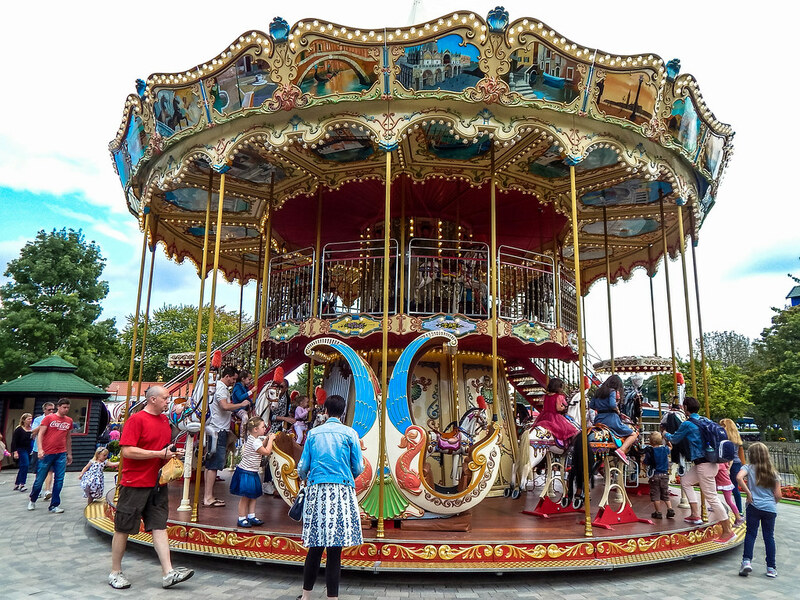 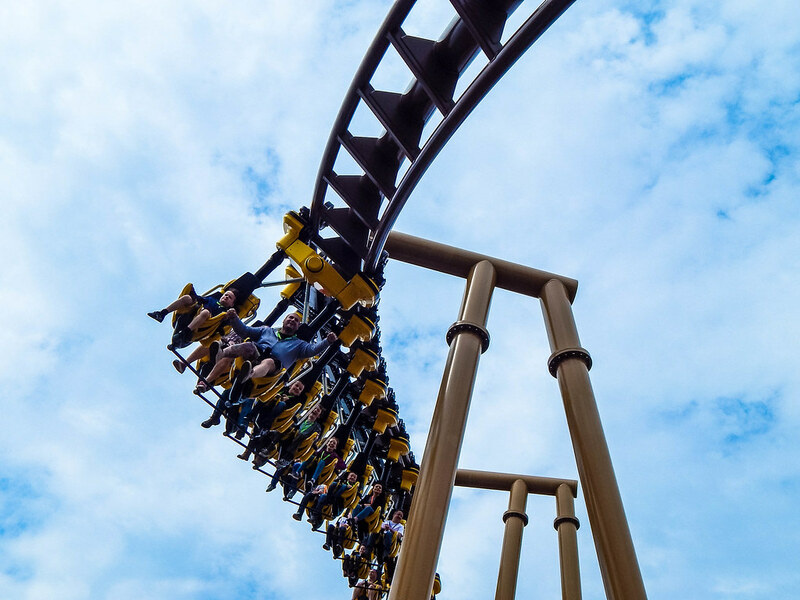 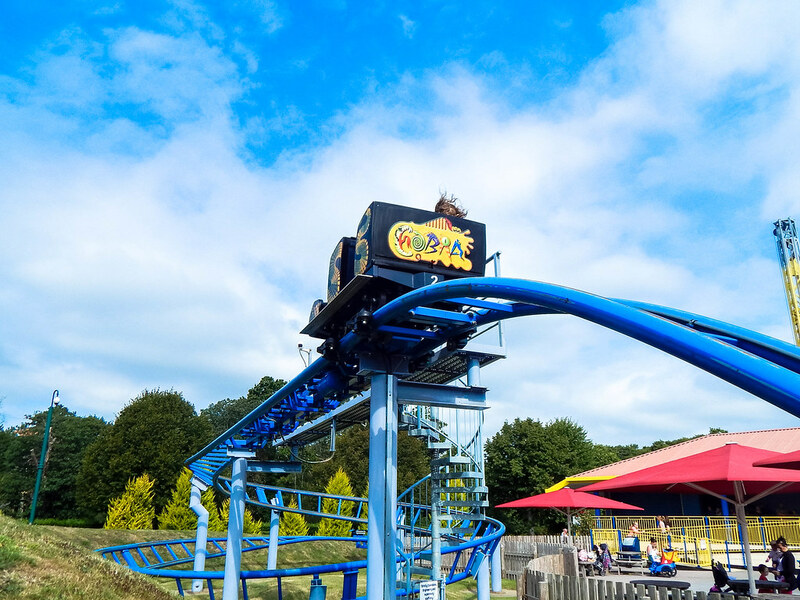 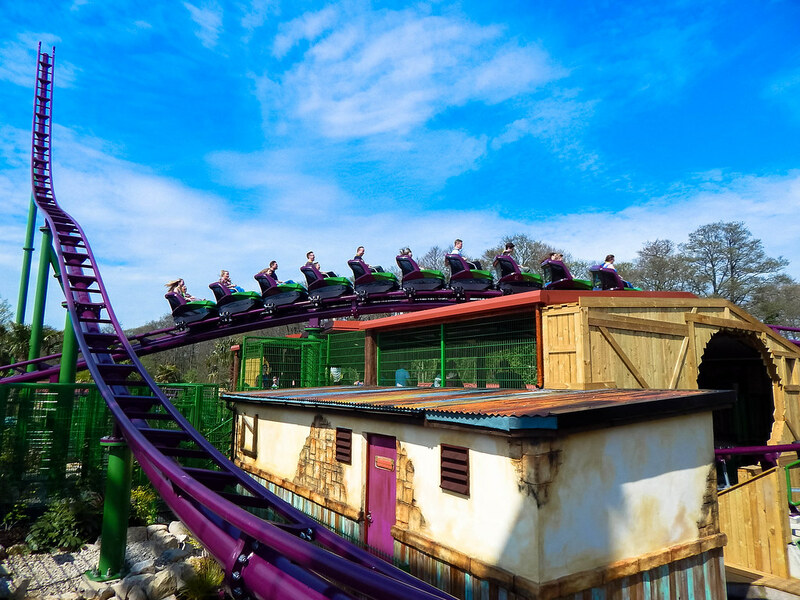 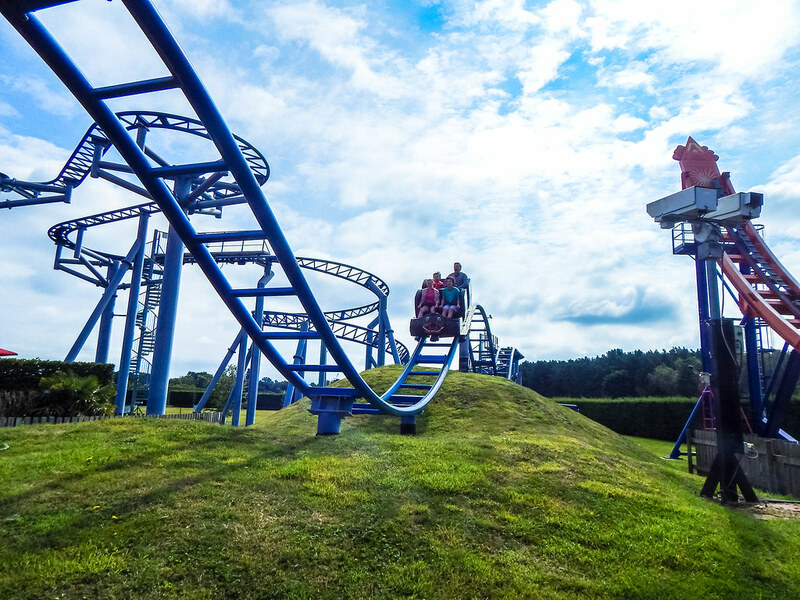 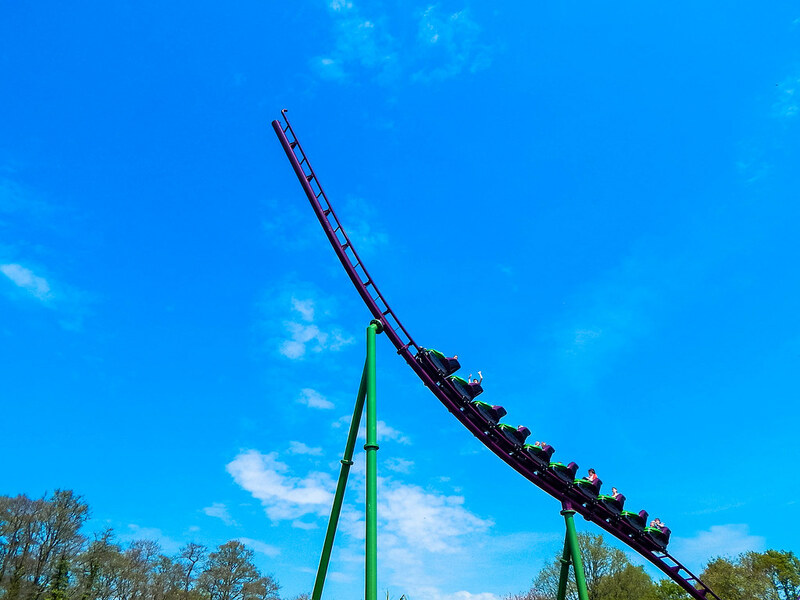 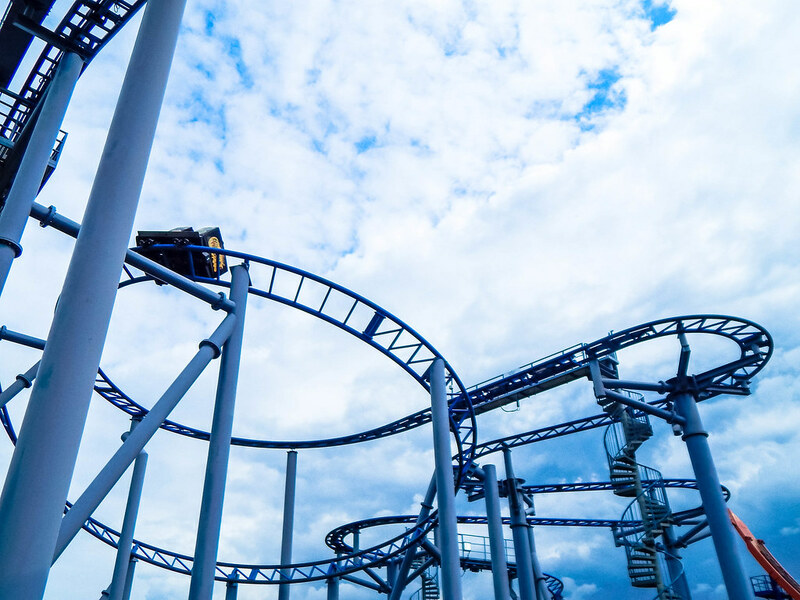 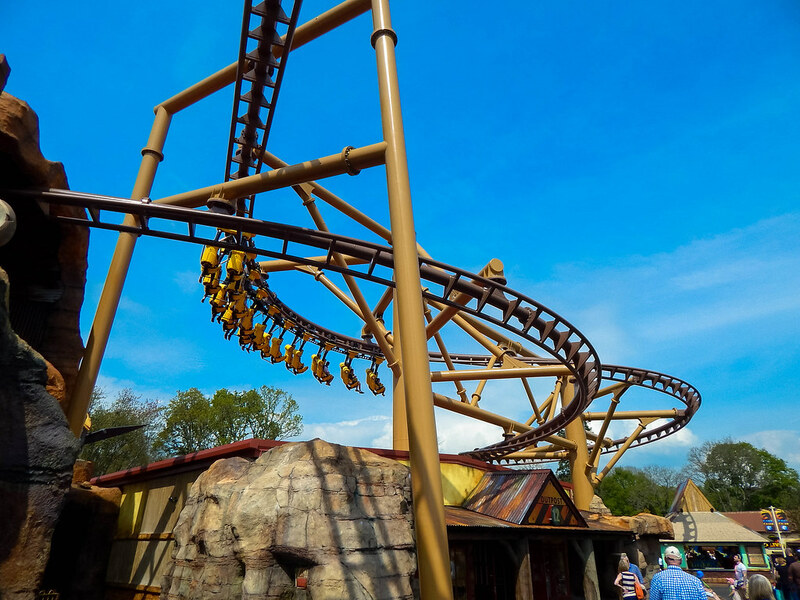 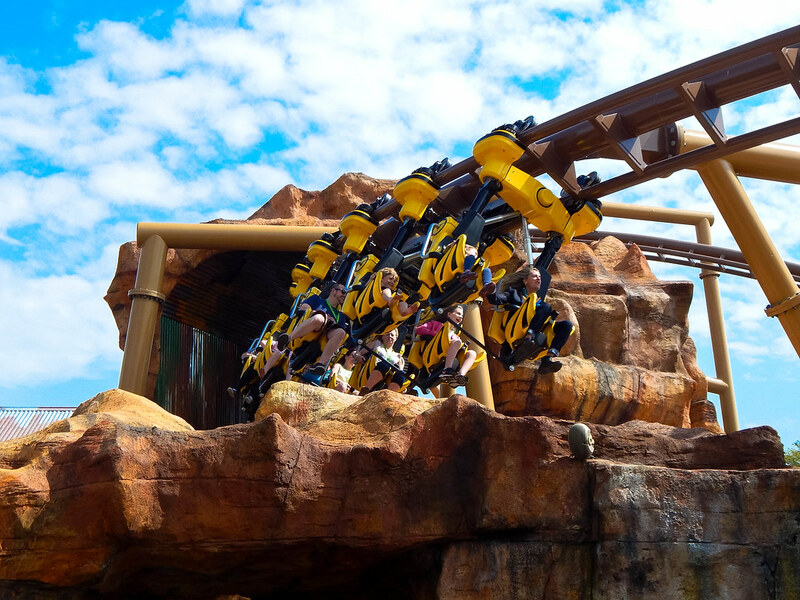 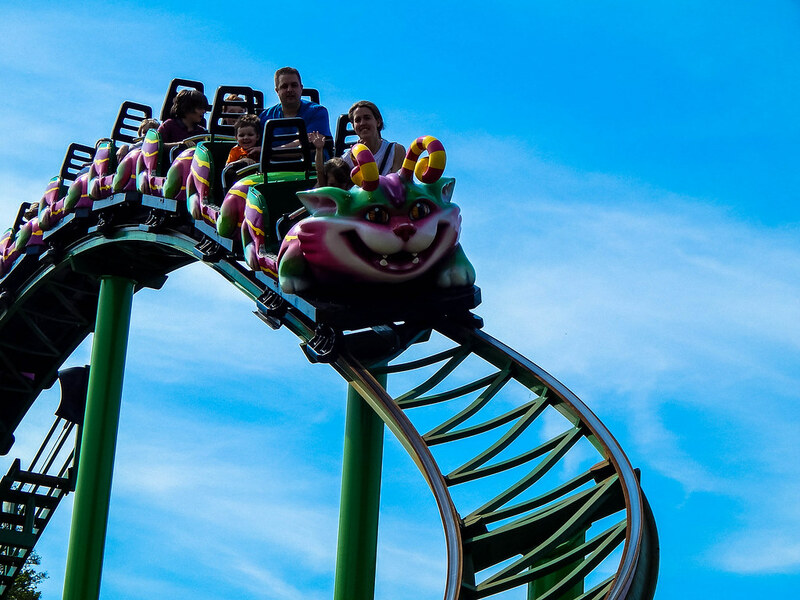 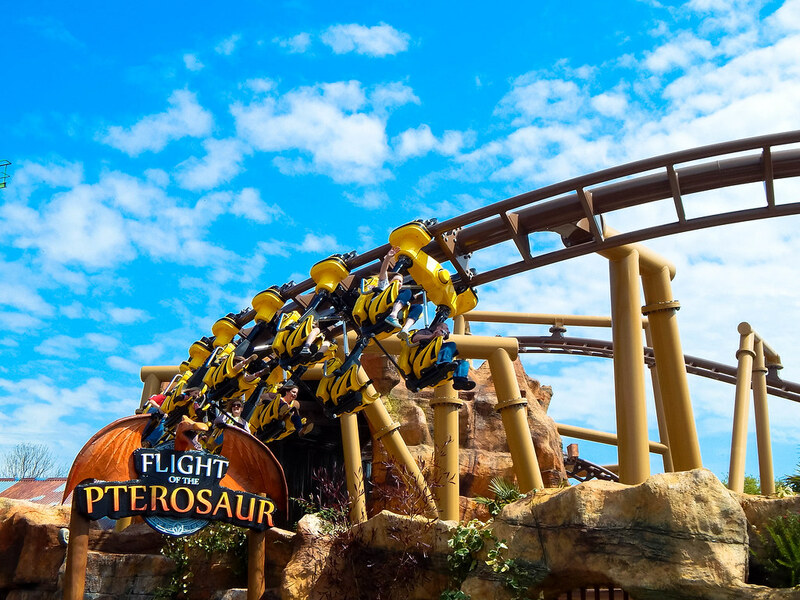 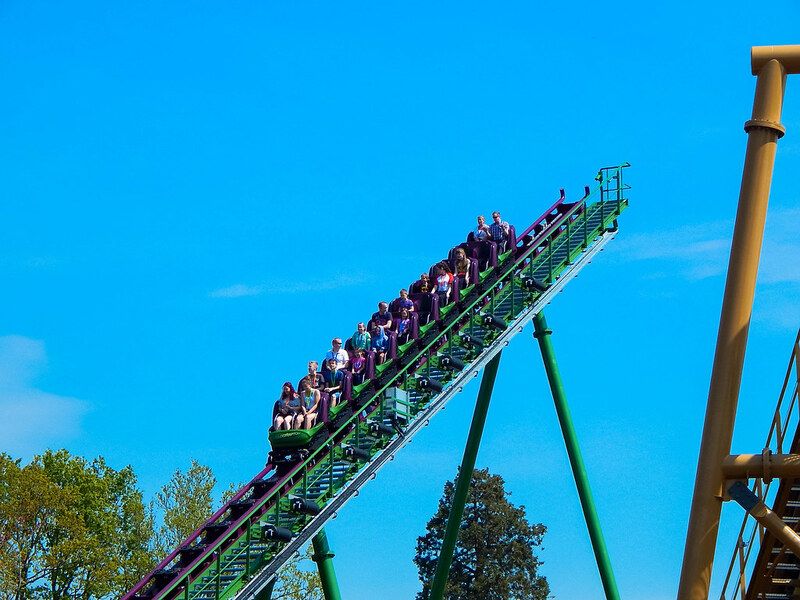 Although it is not the biggest ride it really does thrill all who ride it, it’s perfect for Paultons Park as the whole family can enjoy a ride on this thrilling coaster. 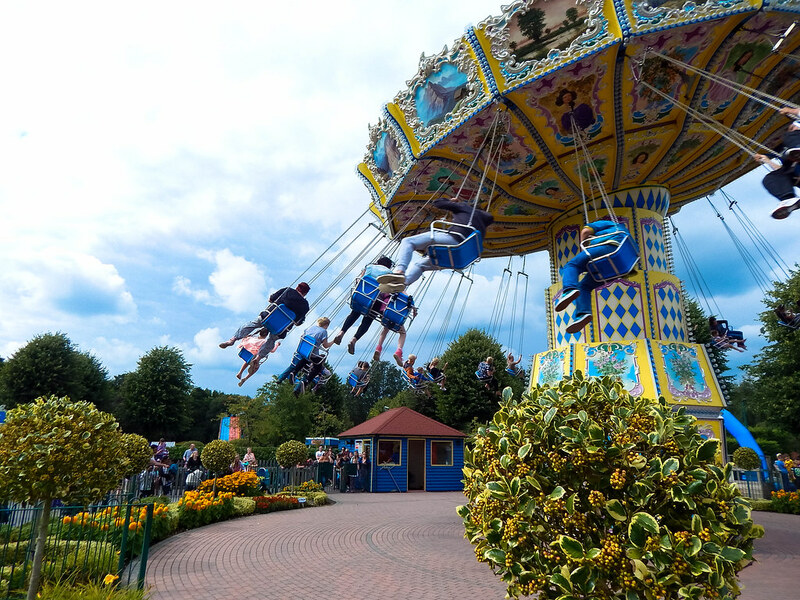 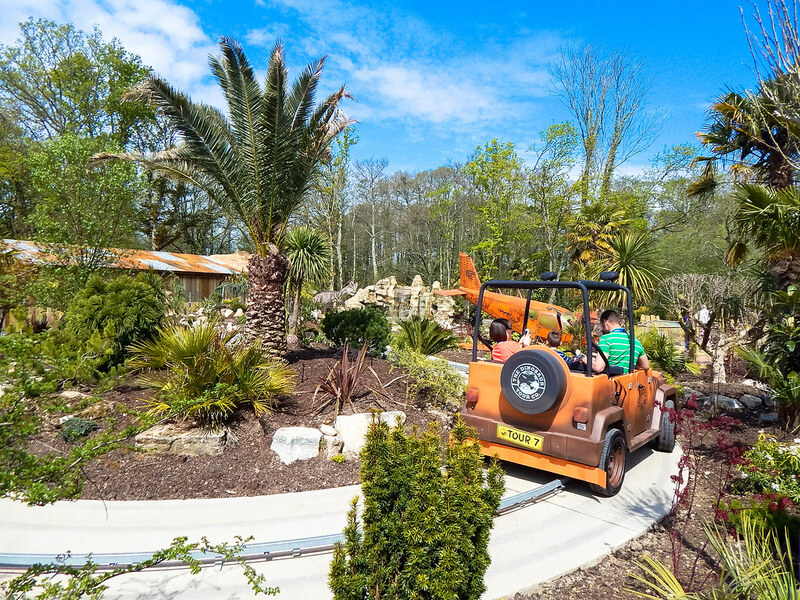 There is lots to see and do at Paultons Park, so much you will need a whole day to experience all the fun to be had. 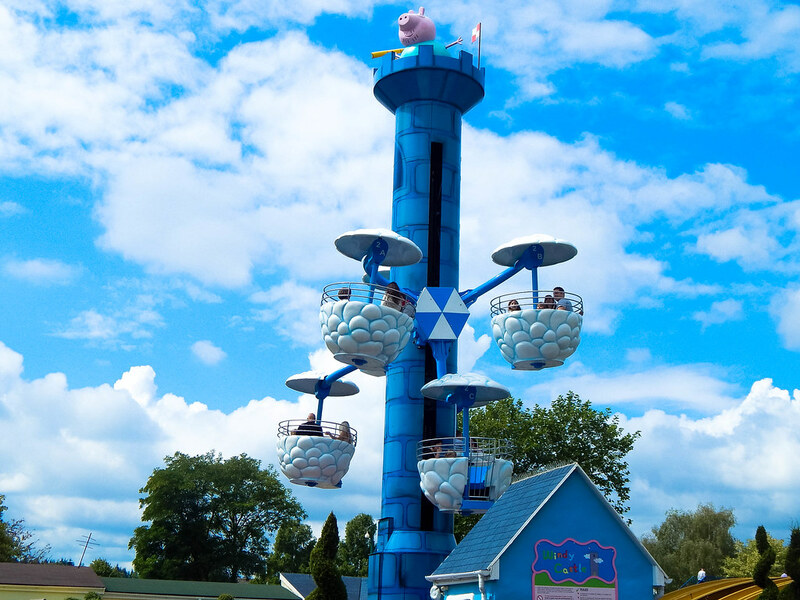 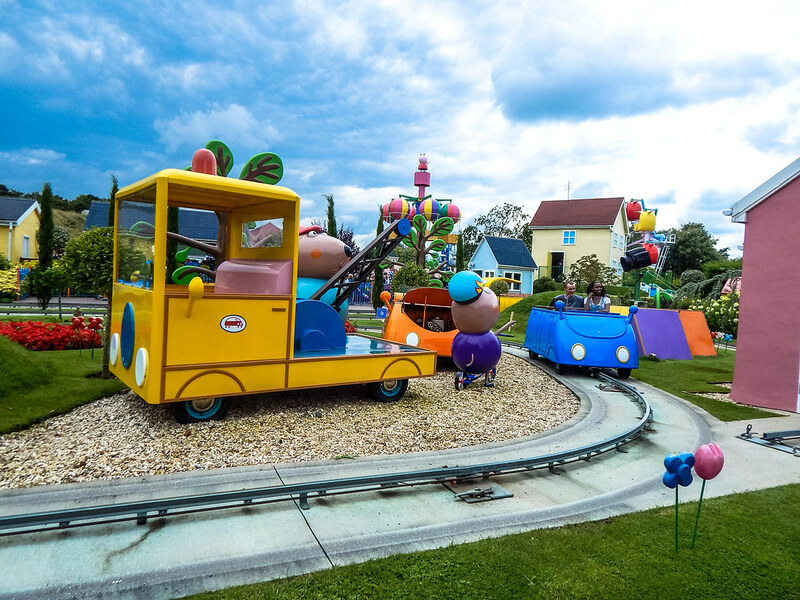 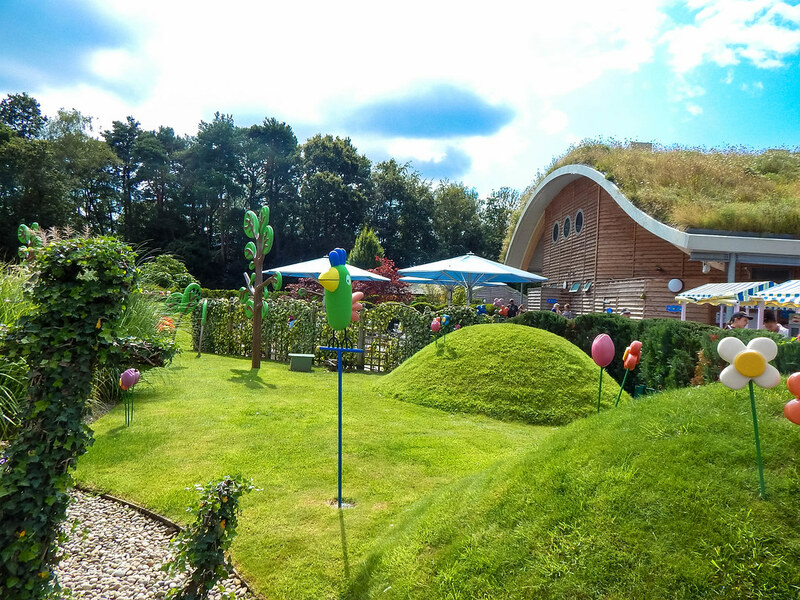 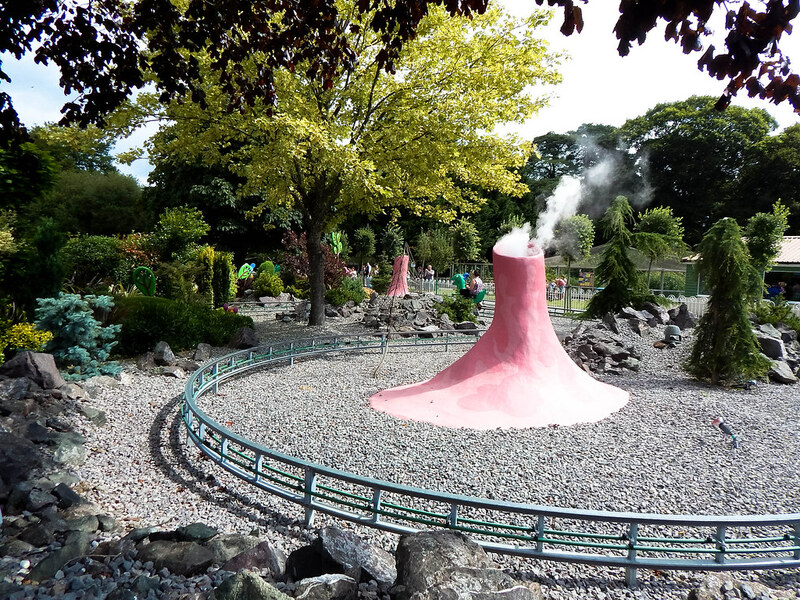 On the other side of the park you can find the famous Peppa Pig world which is perfect for younger guests who are visiting. 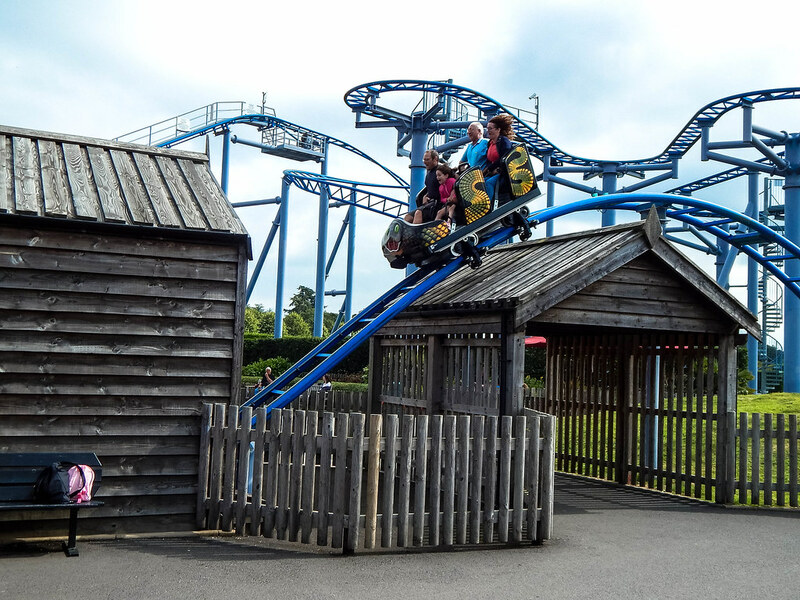 You can explore rides based on the characters within the hit TV series such as George’s Dinosaur Ride and Peppa’s Balloon Ride. 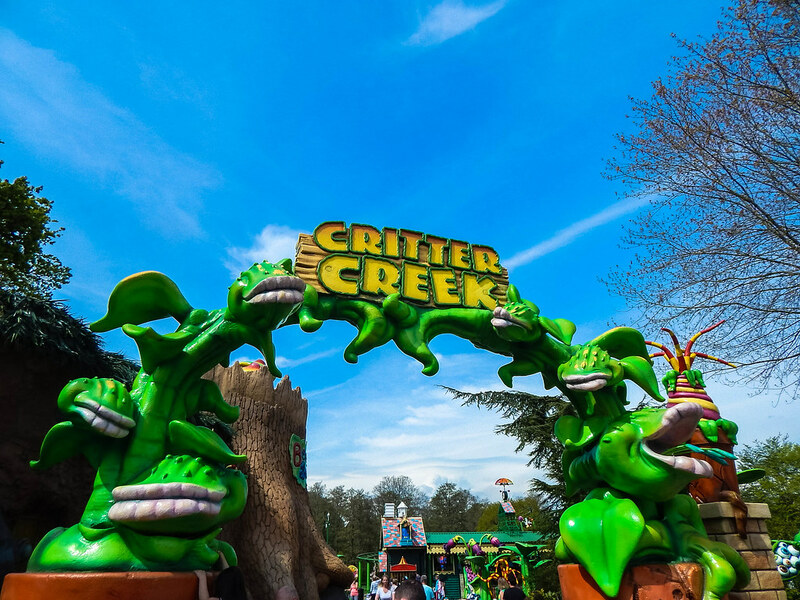 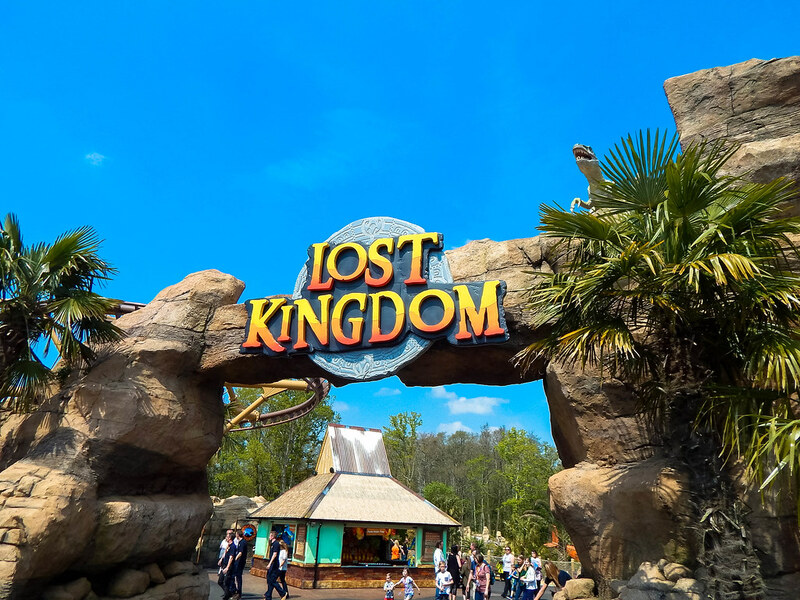 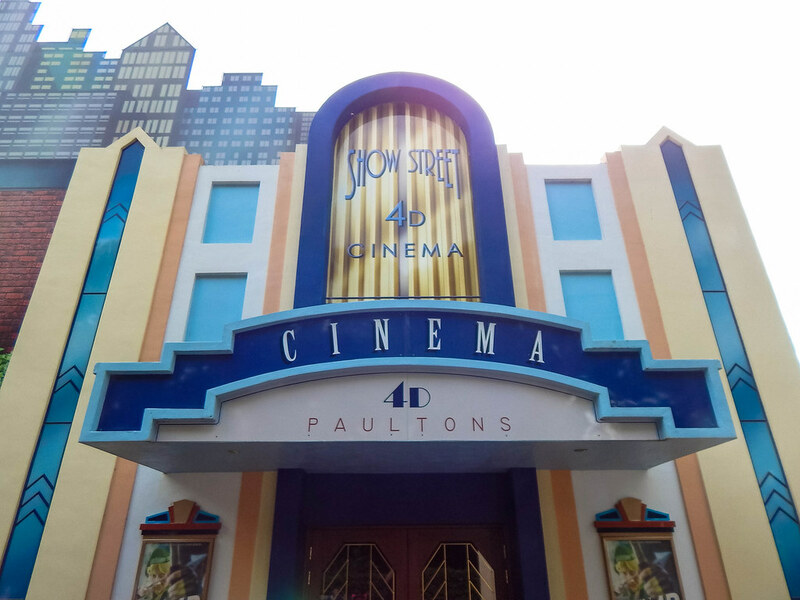 Other popular rides that shouldn’t be missed include the family area of Critter Creek, the quaint Victorian Carousel, the Jumping Jack bouncing drop tower and last but not least is the awesome 4-D cinema. 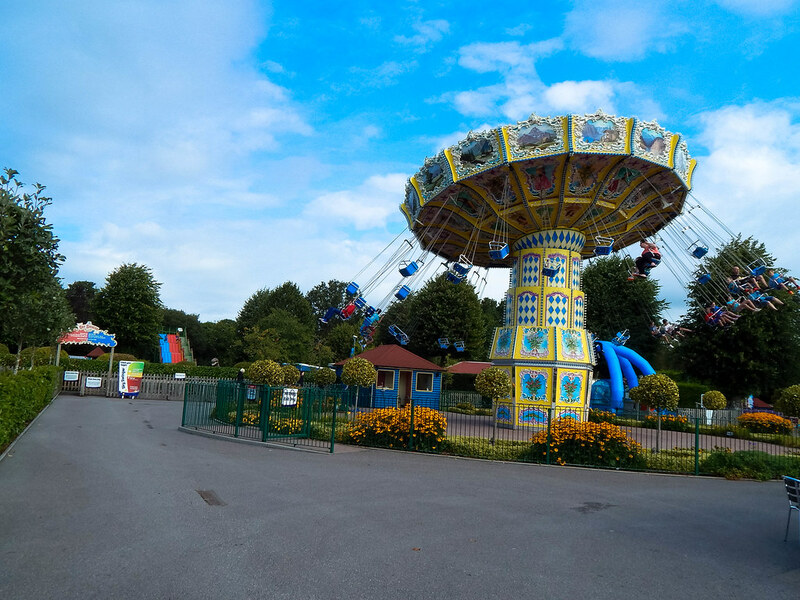 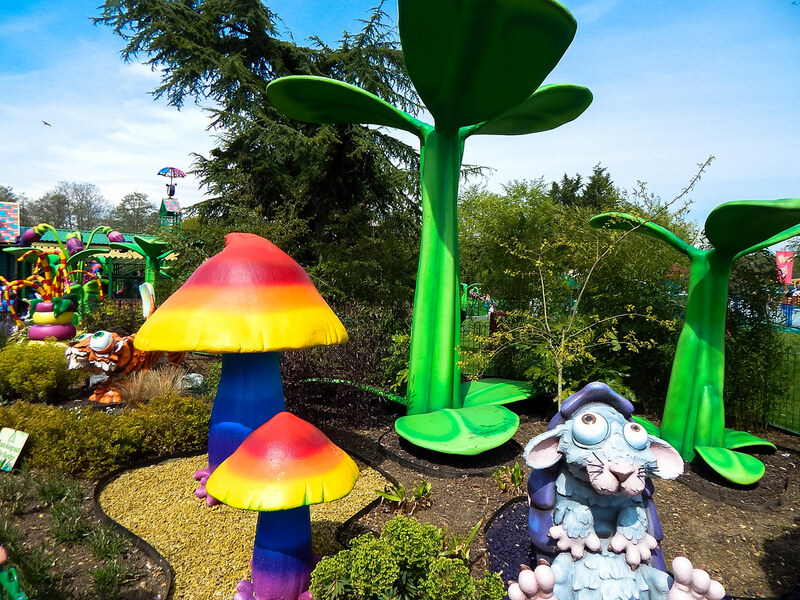 Paultons Park is a superb family day out, with something for everyone to enjoy. 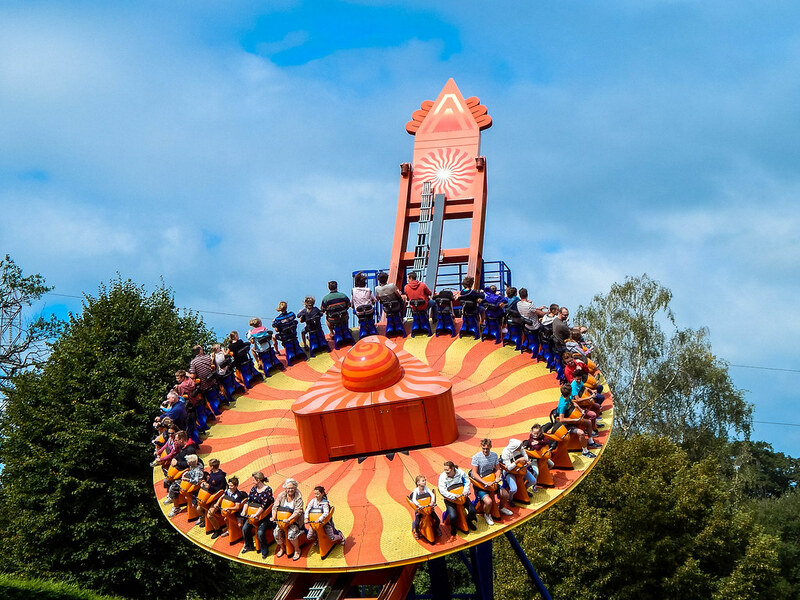 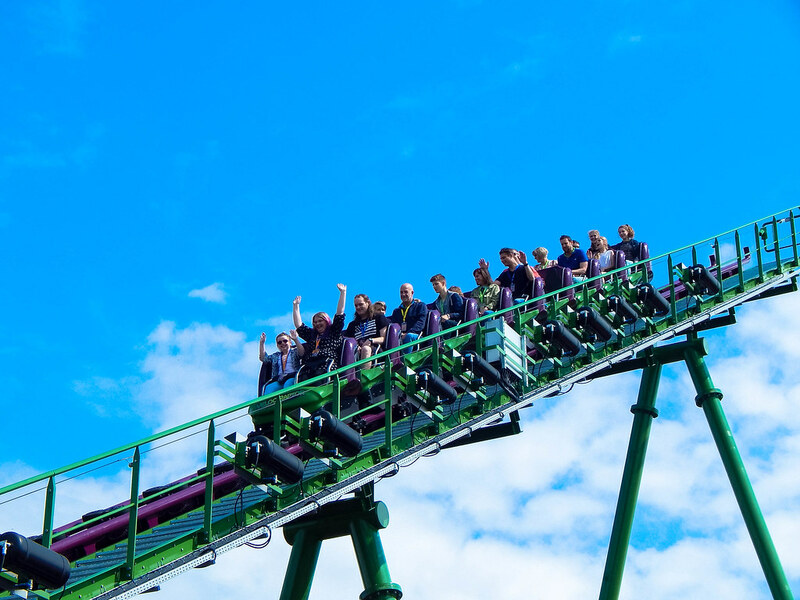 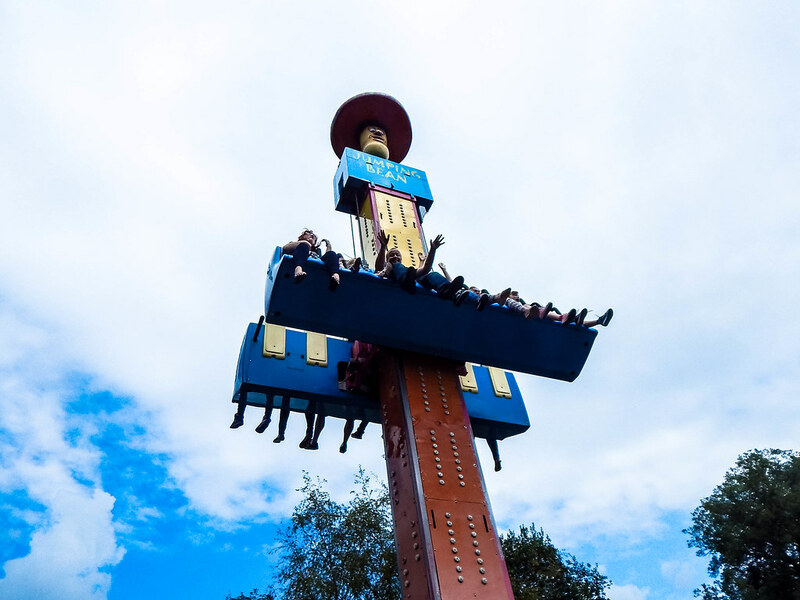 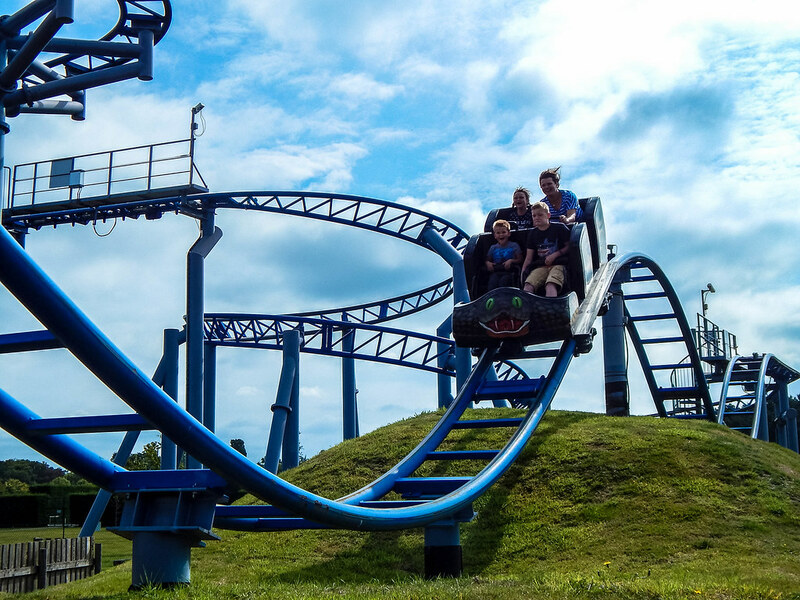 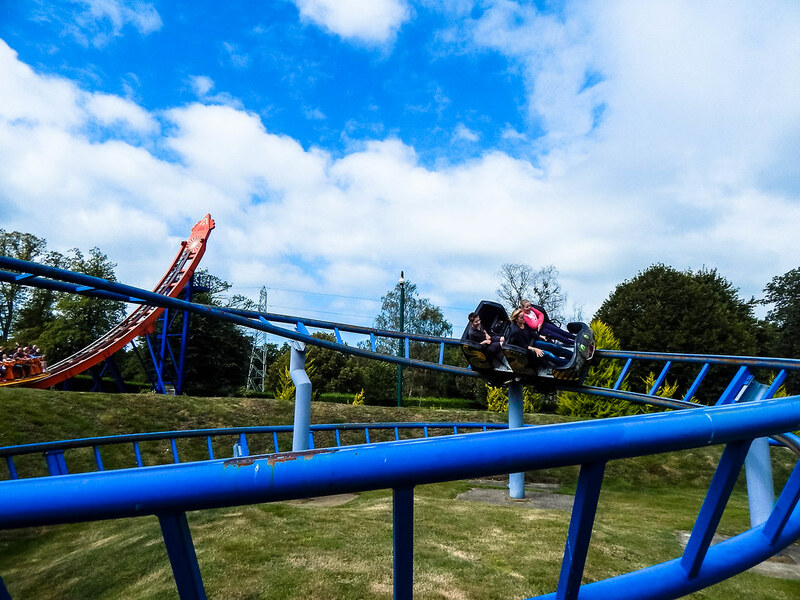 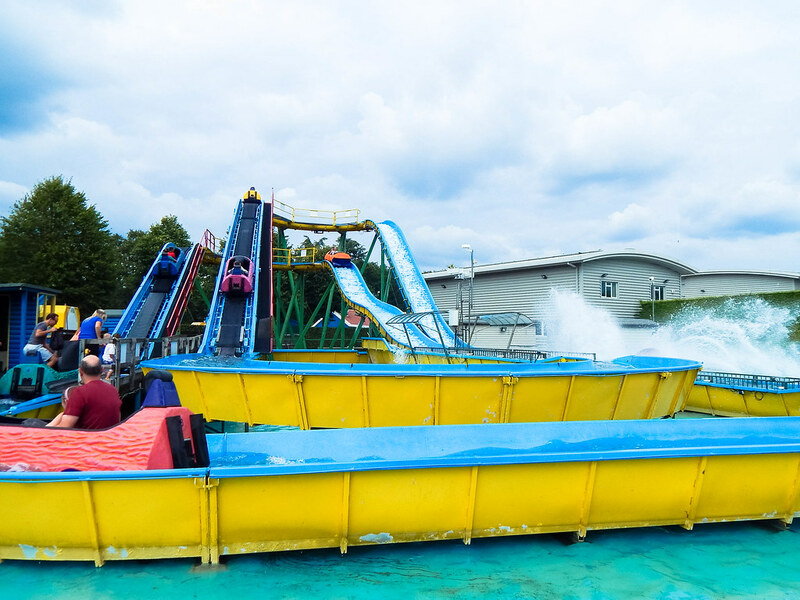 If you are looking for extreme thrill rides Paultons Park isn’t the place to visit, but if your looking for a fun filled family day out then this has to be top of your list!